Great news for those of us who love to use Nik Collection as part of a professional photo editing workflow. In December DxO acquired the Nik Collection software from Google and now they have launched an update. It is mainly bug fixes and an update to ensure that it is compatible with the latest versions of Adobe Photoshop, Lightroom and Photoshop Elements. With the update, you will also get support if needed to get the plugins to work. This is something that has been missing for the last year or two since Google decided to stop developing and updating the plugins. With a new life to Nik Collections under another company also comes a new price for the updated version. DxO offers the plugin for a regular price of $69, but until July 1st 2018, you can get it for only $49.99. You can get it here at: DxO. Compared to the $149 it cost when Google owned the software, it is a bargain if you don’t own plugins already. If you haven’t used Nik Collection before, DxO also offers a 30-day trial version, so you can find out if it suits you. But once, you get to know it, I am sure that you will absolutely love the control-point selection method used in all of the Nik plugins. If you already own the previous Nik Collection and it is working well on your computer it is good to know that you can get an update with improved stability and a fully operational Selective Brush Tool that lets you modify filters and dynamic objects freely. 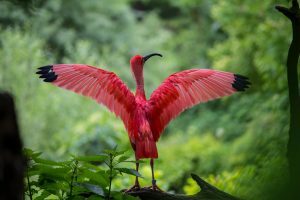 With this update, you should be able to enjoy using Nik Collection for many years to come as part of your photo-editing workflow. As many of you know I have been a fan of Nik Collection plugins for many years, and offers two very popular packages with presets for this amazing plugin, the 49 Nik Presets & Recipes Collections, and the Nik Presets & Recipes Collection – Art Package. So I am very happy that photographers around the world can continue to use and enhance their images with this professional plugin. One note of caution to Affinity Photo users using a Mac. There are still some issues with getting the new NIK – DXO version to work together with Affinity Photo. It should work fine on windows though. You can read more about this on the Affinity Photo Forums. Uh…Google reduced the price to 0 for a few months and those files are easily found on the Internet. DxO will need to do more than a few bug fixes to have appreciable sales. Given backwards compatibility for plug-ins is a requirement and the Google versions are only a year old, this isn’t a bargain at all. I am a user of the NIK collection, not on the scale of you gentlemen, but a user. Sure NIK was free from Google, I bought mine from NIK. Then Google decided the end of life for NIK was near. Most of the photography community was appalled. Folks refreshed their NIK caches, I did, and we waited. Then DXO stepped up and gave the NIK Collection new life/direction. They integrated it into DXO PhotoLab AND offered the collection as plugins as before. A photographer I follow (one of many) at Lenscrafters wrote that he had bought the new DXO NIK Collection for several reasons. They made sense to me; the stability, we all have legacy products that drivers are written for, maybe the OS won’t run the product or lack of support. His other point is we have gone the route of free and seen what it could lead to. 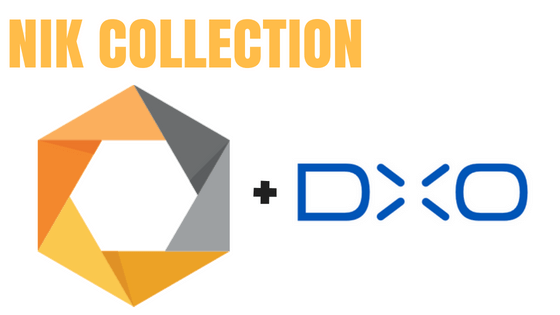 The NIK collection had become a critical part of many workflows, so I feel that DXO should be thanked for rescuing the NIK collection and we the users could at least show our appreciation by supporting their effort. I understand Mr Thompson’s position and I think DXO will expand NIK’s abilities over time. He mentions backward compatibility, this is true now. But could that be written out with the next CC update? Consider as technology moves on things change, Adobe dropped some features from PS and you have to go back to a legacy version to recapture it. Anyone experiencing banding after applying NIK Analog, Silver Efex, etc, over an High-Res TIFF?